Tevis Cup riders may be from different walks of life, but they share a common addiction. They live for seeing the Sierra whiz by them on horseback, leaving billowing dust clouds in their wake, while forging an unforgettable bond with a natural athlete. The 100-mile endurance horse ride, from Tahoe to Auburn, features some of the most unforgiving terrain, yet continues to call to them year after year. Riders, like endurance trainer Janine Esler, of Granite Bay, continue to test themselves, and their horse, for 24-hours, against the elements. The reward? A silver buckle — and a challenge that never seems to get old. Esler said Tevis continues to thrill her, even nearly a decade after her first ride. During that race Esler’s horse got stuck in a thorny berry bush about half a mile before the finish. A testament, she said to the unpredictability of the race. Last year, Esler finished fourth on Cool resident Diana Lundy’s horse, C.R. Sampson. This year’s race, scheduled for Oct. 8, should be even more unpredictable than usual, according to Esler. Unusually heavy snow-melt, caused race organizers to push the race back from its original date in July. The unprecedented move means riders will be traveling in darkness for an extra couple of hours, and experience cooler temperatures. Esler said she isn’t sure the pros of an autumn race will outweigh the cons. It's past 4 A.M. in Squaw Valley, Calif.—the dead of night, the hour of the wolf, when sane people are sleeping under warm blankets, not standing in the chilly blackness at the eastern edge of the Sierra Nevada waiting for a horse race to begin. Phantom horses with ghostly riders, or so they seem in the silver wash of the spotlights, clip-clop toward the starting line of the Western States 100 Miles One Day Ride, otherwise known as the Tevis Cup. This is the toughest single race in the world of endurance riding, a once-obscure sport now blossoming in the American West and around the world. As the five o'clock starting time draws near, 271 horses and their riders crowd behind the low aluminum barrier that serves as a starting line for the race. To start the race, the horses pass, two by two, through a gap in the barrier. The mountain air trembles with sound: A thousand hooves scrape the gravel, and horses nicker and scream as their riders, some wearing surgical masks to keep from breathing the clouds of dust that fill the air, urge them toward the clogged gap. The onlookers—family and friends who will serve as support crews—call out words of encouragement as the horses thunder by like an Old West posse. A young girl shouts, "Good luck, Mom!" There are a lot of moms in the Tevis Cup; in fact, more than half of the riders on this August morning are women. One of them is Juliette Weston Suhr, a 63-year-old grandmother from Scotts Valley, Calif. who's here to ride in her 23rd Tevis Cup. Her 39-year-old daughter, Barbara White, is riding in her 19th, and her husband, Bob, 68, heads their support crew, aided by son John and his wife, Stephanie. The 100-mile race from Squaw Valley to the little town of Auburn (pop. 8,500) will be run over a trail, once used by the pony express, that climbs treacherously through the rugged mountains, traverses snow-filled passes and descends into canyons where the temperature may hit 120°. It's a test of stamina, courage and horsemanship. The idea, of course, is to finish first, but most of the riders have a more modest objective: to finish within the 24-hour limit. Those who do so win a silver belt buckle. Suhr already has 16 of them, and in the 1987 Tevis she's trying to become the first rider since the event was founded in 1955 to win 17. She is, she admits, addicted to this race. Suhr is a handsome, whipcord-thin woman with a relentlessly sunny disposition and a will of steel. She's riding her 11-year-old Arabian bay gelding, H.C.C. (for Hyannis Cattle Company in Nebraska, where he was bred) Gazal, for the sixth straight year, and she's worried because Gazal has a crack in his left forehoof. "Before a race I get very nervous," she says. "I'm sure the horse is going to break a leg in the trailer, or come down with flu the day before, or fall off a cliff during the race." Clearly her concerns are not for herself but for her beloved Gazal; together they've won the Haggin Cup—given to the rider whose horse finishes in the top 10 and in the best physical condition—a record three times. This trophy is considered by many as important a prize as the Tevis Cup (named after Will Tevis, a famed American horseman in the early 1900s), which is awarded to the winner. Suhr has never won the Tevis, but she has come close, having finished second in 1985 and third last year. Both times she held Gazal back in the final 15 miles to spare him, but she has no regrets. "I can honestly say the Haggin Cup is more important to me," she says. "On Sunday morning at the judging for the best-conditioned horse, some of those horses are pretty dragged out. Gazal has always whinnied, had his head up, and his eyes have been clear. It's always been my proudest moment to present him to the veterinary committee and the crowd in that condition." GEORGE B. HATLEY, “MR. APPALOOSA,” DIES AT 87 George B. Hatley, past executive secretary of the Appaloosa Horse Club and one of the breed’s most tireless supporters, died September 16 (2011) in Moscow, Idaho, of causes related to age. He was 87. He was widely known in the horse world as “Mr. Appaloosa” for his efforts to preserve and promote the Appaloosa horse, and is a member of the Appaloosa Hall of Fame. Hatley was born July 18, 1924, to Ray and Neva Dole Hatley on the Hatley ranch south of Pullman, Washington. He attended elementary school at the Irene country school near Union Flat Creek, riding horseback to the schoolhouse. He was exposed to Appaloosas and stories about them at a young age. A great uncle had fought in the Nez Perce War of 1877, and a smattering of area farmers, cowboys, and native Americans still possessed the occasional Appaloosa. In 1936 Hatley’s family moved to a farm west of Moscow, near the present location of the Appaloosa Horse Club. He graduated from Moscow High School in 1942. He acquired an Appaloosa stallion, Toby II, during this period, and after reading an article about Appaloosas in an issue of “Western Horseman,” joined the newly created Appaloosa Horse Club as member No. 45. Hatley worked on the construction of Farragut Naval Training Station and later took basic Navy training there. After discharge from the Navy , he met ApHC founder Claude Thompson, who soon appointed him to be his assistant. Hatley took the reins as executive secretary in 1947, the same year he married Iola Golden. He attended the University of Idaho on the G.I. Bill, graduating in 1950 with a bachelor of science degree in animal husbandry. The couple’s son, Craig, was born in 1955. Hatley worked as executive secretary of the Appaloosa Horse Club for 31 years, the early ones without pay. He started the association’s magazine, “Appaloosa News” (now “Appaloosa Journal”), published its first studbooks, implemented the first National Appaloosa Show and Sale (held in Lewiston, Idaho, in 1948 and 1949), and started the Appaloosa Museum. He wrote hundreds of articles and several books, including “Horse Camping,” a classic now in its third printing. He was instrumental in development of the Chief Joseph Appaloosa Trail Ride, and rode the 1,300-mile route of the Nez Perce War Trail twice. He also completed the 100-mile, one-day Western States Trail Ride, or Tevis Cup, across the Sierra Nevada. Hatley enjoyed horse racing and had two winning lines come from his breeding program. The Appaloosa racing stallion Double Patch won 22 races, and another stallion, Apache Double, won 18 races and went on to become an all-time leading sire. He was a longtime cattleman who also enjoyed driving horses and collecting horse-drawn vehicles. He made his Deary, Idaho, ranch available for Pony Club, dressage and combined training, 4-H trail rides, and driving events. The Apalousey Trail Ride and Dutch Oven Dinner, a benefit for the Appaloosa Museum, has been held there the past 14 years. Hatley received numerous honors throughout his life, including membership in the Idaho Hall of Fame and a showcasing in “Sports Illustrated.” In 2004, the United States Pony Clubs designated Hatley a legend for his efforts on behalf of USPC. He greatly prized an honor presented to him during a Lewiston Roundup by the Nez Perce tribe, where he was presented with a pair of beaded buckskin gauntlet gloves and a Pendleton blanket. Hatley is survived by his widow Iola at their Moscow home, along with son Craig and daughter-in-law Cheri Hatley in Deary, plus grandchildren Justin Hatley and Danielle Hatley Pierson (Derek), and a sister, Veletta Frink. He was preceded in death by his parents and by a sister, Berneda Hamilton. Details of a memorial service are pending. Burial of ashes will be at the Hatley Cemetery south of Pullman. Hatley left an epitaph for his gravestone, which is to read, “He has returned to the hills he loved as a boy, and will be a part of them forever.” Memorial contributions may be made to the Appaloosa Museum, 2720 West Pullman Road, Moscow, ID 83843, and the Hatley Cemetery, P.O. Box 1035, Pullman, WA 99163. Support the North American Endurance Team Challenge riders (and you could win some very cool prizes)! September 17 ~Manufacturers and retailers involved in the equestrian industry have come together to put on a raffle to raise funds for the teams. In addition ride managers and individuals wanting to support the teams are also donating prizes you could win. Total value of the prizes to be given away is in excess of $5,000! Check out the prizes — they are amazing! Members of the American Endurance Ride Conference-International (AERC-I) and the United States Equestrian Federation (USEF) will be heading to Greenville, California for the North American Endurance Team Challenge (NAETC) September 23-25. Each AERC-I region will be sending a team comprised of horses, riders, crew and veterinarians. Here’s your opportunity to help offset the costs of this first-ever event — you decide the region your donation will benefit. Your purchase of a raffle ticket ($5 each or buy four and get one free) will support the AERC-I region of your choice. Winners’ names will be announced at the NAETC Ride. In order to keep as many dollars as possible getting to the teams, those companies and people donating prizes have also agreed to cover the cost of shipping each prize to the winner. Click on the “Detailed Description” tab for a list of prizes. There are lots of cools prizes to win. If you don’t buy a ticket, you won’t win anything; if you buy lots of tickets you have a better chance and you also will be supporting these international U.S. teams in their quest for endurance excellence. Thanks for your support of the USEF/AERC-I riders going to the NAETC! Special thanks for Susan Favro of Healthy As A Horse Network for organizing this raffle and hosting the entry forms on her website. As you may have heard, there is immediate concern in our area about the presence of Equine Herpes Virus (EHV-1), a very contagious and potentially fatal equine virus. Last Thursday a horse from the Pigeon Forge/Sevierville area was admitted to the UT Vet Hospital with a neurological form of the virus and subsequently euthanized. The Vet School is under quarantine for a minimum of 7 days; it has released an official statement here: http://www.vet.utk.edu/news/story/important-information-about-equine-herpes-.html. This is a critical time for the local horse community to work together to prevent the spread of this virus. There's no reason to panic; however, if all area horse farms dedicate themselves to taking the appropriate precautions, we can minimalize the potential of EHV-1 spreading. The best way to prevent EHV-1 exposure is to quarantine your horses and barn from other equine traffic. CDCTS has, smartly, cancelled its schooling show for next weekend. Here at Ridgemor, we've decided that it's in the best interest of our horses to mandate a quarantine on our farm until we know more about the situation. We hope other area farms will consider adopting similar measures until the situation has been resolved. Other precautions you can take include exercising bio-security measures (disinfection, etc.) if traveling from barn to barn and carefully monitoring your own horses for symptoms. The stallions, mares and geldings entered were just as surprisingly diverse, and included just about everything found in a horse encyclopedia: Arabians, Anglo-Arabians, a Peruvian Paso, quarter horses, Appaloosas, Thoroughbreds, Standardbreds, Morgans pure and crossed with all the others, Pintos, buckskins, palominos and even a plain old western mustang. The horses were brought to Tahoe City's ball park the day before the race to be examined by eight veterinarians. Any horse whose condition was the slightest bit questionable was disqualified. "It is the integrity of the ride that matters," said Will Tevis, who, with his brothers, contributed the cup in memory of their grandfather. "We want to be sure that the horses are sound at the start and are humanely treated. A winning racehorse can finish lame, but here no unsound horse can win. In fact, he would probably be caught at one of the checkpoints [there are four], instantly disqualified and removed by trailer." One of the requirements of the Tevis Cup is that the winner must be serviceably sound in the opinion of the vet examining board, and another prize, the Haggin Cup, is offered to the horse that finishes in the best physical condition among the top 10. Many riders enter with no hope of winning but just to complete the 100 miles. If they do, and their horses pass examination, each is awarded a sterling silver and gold buckle. This specially designed and highly prized trophy is worn by only one man who has not competed in the race. He is 76-year-old Will Tevis, who holds the world record for riding 200 miles in about 10 hours and who in 1923 helped to defeat an Army team in a reenactment of the Pony Express ride from the Nevada border to the Pacific. Although he did not ride, Tevis had several horses entered whose training and conditioning he had planned. Another nonrider with multiple entries was Wendell Robie, who originated the 100-mile ride. In the early '30s he was guided over the almost-forgotten trail by Robert Watson, a son of one of the area's pioneers. Some months later Watson was killed in a fall, leaving Robie and a handful of friends the only men with an intimate knowledge of this onetime gold-rush and Pony Express route. The trail is as hazardous as it is historic, going up to almost 8,000 feet at Emigrant Pass, where glaciers still lie in pockets, and snaking close to 2,000 feet into canyons where the temperature can reach 110*. Meg Sleeper, a veterinarian from Kingwood Township, is at the top of her equestrian game. She has been teetering between first and second in the nation, and was second in the world for a time as well. But international placements in endurance riding, where competitions are few and far between, tend to seesaw up and down. Sleeper hopes to solidify her standing at the top of the pinnacle when she rides in the Pan American Games, Oct. 22, in Chile. Sleeper competes in what could be considered the marathon of equestrian sports, endurance riding. It’s a long-distance horse race that covers up to 100 miles. In Chile the ride will be 75 miles and Sleeper says competitors will probably average 11 to 12 miles an hour to finish in six hours. “It’s basically a canter the whole time,” she said, “over rolling terrain.” There are four or five veterinary checkpoints along the way to evaluate the condition of the horses. Conditioning is a key element of the discipline, and at a recent competition in North Carolina, Sleeper’s horse was awarded top-conditioned horse. The 56th annual Western States Trail Ride will run on an autumn day, which is unprecedented. I would like to discuss some things to consider as you prepare for your ride. October 8 will present 2 fewer hours of daylight than you would have on a midsummer’s day. Your trail will have morning glowsticks most of the way to High Camp (about 13 miles out) as sunrise will occur at 7:06 bringing a breaking dawn at around 6:15. Our start is set for 5:15, and you may expect chilly predawn temperatures as low as the teens. The bridges on the way to Hiway 89 could be frosty, so they will be sanded for traction. We are going to ask that all riders cross the bridges at a walk for safety. The trail has been adjusted to take out Bald Mt. and the Pucker Point loop after Robinson Flat. Riders will go down Road 43 instead. This trail change is intended to get the riders through the canyons in the daylight. The cutoff times will be 30 minutes earlier at each point from Last Chance to Francisco’s and 15 minutes earlier at Lower Quarry. The rider card has this year’s mileage and cutoff times updated for your reference. The official timed finish is at 5:15 under the banner in McCann Stadium. Riders will arrive at the finish by using the Pioneer Express trail which loops south around the skateboard park at the overlook. This trail turns left approximately100 yards short of the staging area and crosses under Pacific Avenue with a right turn along the railroad tracks, then back toward the north to the traditional railroad crossing at Pacific Avenue. The top 20 horses will get a “place holder” finish card on the Pioneer Express trail on a wide gravel stretch before the Pacific Avenue undercrossing. After crossing the “place holder” finish line, riders will hold their order of finish in McCann Stadium. The trail committee has been logging many hours of work widening, leveling, pruning and generally improving safety on our trail. You will be impressed. October 8 falls on the third week of the 2011 deer season. We have posted signs cautioning hunters of the presence of horses and riders for the portion of the trail from Hodgson’s Cabin to Last Chance. It would be a good idea if riders planned to wear brightly colored clothing for added visibility. The Western States Trail Ride has never been run in October before, and we will be sharing the fairgrounds with some pretty festive events; namely, The Music Fest, Octoberfest, and a gun show (scheduled for Sunday). Parking will be tight and our stabling will not be available until September 28. If you are traveling a great distance and need to arrive in the Auburn area before this date, please contact the Tevis office for assistance in locating stabling as we have some options available. As you can see we have been planning for many eventualities to make the 56th Annual Western States Tevis Ride as memorable and incredible as ever. Keep training and check back to our website for any future updates. Preliminary Entries for the 2011 North American Endurance Team Championship have been posted. 47 riders from the US Central, Mountain, Pac North, Pac South, Northeast, and Southeast, Canada East and West, Great Britain and Romania, are expected to contest the 100-mile course on September 23-25, near Greenville, California. The challenging mountainous course is the same area over which the 2009 AERC National Championship took place. The temperatures have finally dropped below 100 degrees!!! What a summer for fellow horse lovers! When they say HOT, HOT, HOT, they are not talking about salsa here in the southwest! October is right around the corner and with it brings cooler temperatures and the Endurance riding is at its best! Starting out October 1st is one of my all time favorite rides, Man vs. Horse, put on by Ron Barrett up in beautiful Prescott Arizona. This is such a unique ride because there is a Trail run at the same time as the endurance ride! That’s right the humans run right along with the horses on the 12, 25 and 50 mile event! In the past the human has beaten the horse except for the past few years! It’s a great local event and a great place for those who think they might be interested getting into endurance riding to watch or volunteer. It is a great fall ride with trails that take you up over Mingus Mountain with spectacular views and cool Ponderosa Pine forests then back down to the desert floor! The same weekend is a new ride put on by Terry Wooley Howe called the Best of Both. It should be a beautiful ride with trails from the Descanso Ride in the upper Cuyamaca Rancho State Park through meadows, pines and then onto the PCT with beautiful vistas overlooking the Anza Borrego Desert and the Salton Sea. Terry always puts on a great ride! This will be one not to miss! She has a 25 and a 50 mile event and a fun run! John Crandell III, a legend of American endurance riding sponsored by Kentucky Equine Research (KER), qualified to represent the United States at the Pan American Endurance Championship. The ride will take place October 22 near Santo Domingo, Chile. Crandell will ride Heraldic, on whom he won the Tevis Cup in 2010 and 2006, as well as the 120-km OCTRA Spring Ride and 160-km FITS in 2011. See more of their successes. * Nano∙E, a nanodispersed, natural source of vitamin E.
* Synovate HA, a safe, easily absorbed, and easy-to-use form of sodium hyaluronate. For training updates, follow Heraldic on Facebook. Endurance championships "a camping trip with your horse"
EMC News One thing that seems to set the Ontario Competitive Trail Riding Association's events apart is that unlike many equestrian events, the competition aspect often takes a back seat to camaraderie and fellowship, said Rick Steele, one of the organizers of the Seoul's Corners competition held at Commodore's farm recently. "It's not unusual for a rider to stop their own race to help someone else who gets into some trouble," he said. And it seems that's universal amongst these horse people. "It's like a camping trip with your horse," said Dagmar Downes, who, along with husband John and bay Princess Leah, comes in her sleeper horse trailer all the way from Mountain Grove. "I enjoy it," she said. "It gets me out. "We try to get to about 10 of these a year and next year we'd like to go to one in the U.S.
"We'd like to go to every event but there are some things like injuries to the horse and rider that keep you out of some events." On August 9, 2011, USDA issued a proposed rule to establish general regulations for improving the traceability of U.S. livestock moving interstate when animal disease events take place. Under the proposed rule, unless specifically exempted, livestock moved interstate would have to be officially identified and accompanied by an interstate certificate of veterinary inspection or other documentation, such as owner-shipper statements or brand certificates. The proposed rule encourages the use of low-cost technology and specifies approved forms of official identification for each species, such as metal eartags for cattle. However, recognizing the importance and prevalence of other identifications in certain regions, shipping and receiving states or tribes are permitted to agree upon alternative forms of identification such as brands or tattoos. "Our proposal strives to meet the diverse needs of the animal agriculture industry and our State and tribal partners, while also helping us all reach our goal of increased animal disease traceability," said chief veterinary officer for the United States, Dr. John Clifford. "We believe reaching our goals on traceability will help save the industry and American taxpayer's money in the long term." Beginning August 11, 2011, USDA will be accepting comments on the proposed rule until November 9, 2011. Follow the amazing journey of the nation's top 100 trail horses on America's Favorite Trail Horse and vote for your favorite, who will receive their share of the $100,000 in prize money. America's Favorite Trail Horse will premiere at 8pm EST on September 13th 2011 on HRTV on DISH channel 404. Check your local listings on cable networks. Every Episode will also be shown FREE on www.actha.tv simultaneously at 8pm EST. Voting starts as soon as the episode is over at 9pm EST Tuesday and voting will be open for 48 hours per episode. Please be patient and allow links to download. Just yesterday, we rode the last leg of the Tevis Trail between Foresthill and Auburn. We actually rode it in reverse direction of the ride, as it's the more challenging direction since you climb from the American River to Foresthill. What I want to share is the excellent shape the trail condition is in. The Tevis Trail committee has spent a significant amount of time and resources along key the trail sections to improve the experience of horse and rider on the Tevis Ride next month. Specifically, the section of trail between Nugget Road and Sandy Bottoms (Commonly referred to as Cal 3) is one of the most precipitous sections of trail that horse and rider will experience on the ride. With the Ditch Witch Trail Machine, purchased by Echo Valley Ranch, Greg Kimler and Mike Shackelford have opened up this section of trail to a full 4+ feet of tread path. While there are many other sections of trail that Greg, Mike and the Tevis Trail Committee have improved for this year's ride, the Cal 3 section is probably the most impressive. So, come prepared to ride Tevis this year with trail conditions that are in excellent shape. The following policies are part of the application for entry into the Western States Trail Ride. They will assist you in planning your ride. Your entry application will have the fee schedule included. There will be added costs, including camping at the formation area, Robie Equestrian Park south of Truckee, and stabling at the Gold Country Fairgrounds in Auburn. You will be required to sign a waiver of liability and to complete other questionnaires, including one regarding your own medical status. The information required is for research, and for assisting management. The Western States Trail Ride (The Tevis Cup) is an amateur sporting event, and entrants are not eligible for monetary rewards. Participants who complete the Ride within the time allotted receive a silver buckle or a certificate of completion. 1. Receipt of completed entry by the Western States Trail Foundation (WSTF) does not guarantee acceptance to the ride. 2. When the quota of participants has been reached, further entries will be placed on a waiting list. 3. Riders must be qualified by having completed a minimum number of sanctioned distance riding miles. You are qualified if, at the time of application, you have completed at least 300 cumulative lifetime miles of competition in AERC, NATRC, or competitive rides of 50 miles or longer approved as equivalent by WSTF ride management, or you have completed the Tevis Cup Ride. Riders fully completing the Tevis Educational Ride and Seminars will be given credit for 150 miles for a two day ride and 75 miles for a one day ride toward the 300 mile requirement. The Veterinary Committee of the Western States Trail Ride strongly recommends that horses entered in the Ride have at least 300 miles of completed distance competition in events of 50 miles or longer. 4. Entries of minors at least 12 years old but not yet 18 on Ride day will be accepted only if accompanied by the entry of an adult rider (21 years or older) as sponsor. 5. No Shows will not receive a refund. 6. Note that the rules of the Western States Trail Foundation (WSTF) for the Western States Trail Ride (Tevis Cup 100-Miles-in-One-Day Ride) differ from those of the American Endurance Ride Conference (AERC). The Western States Trail Ride (WSTR) is sanctioned by AERC and follows AERC rules except where WSTR rules are different, in which case WSTR rules govern. Read the WSTR Rules carefully. 7. For a safe and successful ride, the Western States Trail Foundation strongly recommends that each rider be thoroughly familiar with the horse he or she will be riding, including the horse’s regular physiology and behavior, especially in crowded conditions and on narrow trails at night. The philosophy of the Western States Trail Ride (“The Tevis Cup”) is to ride in the best tradition of good sportsmanship, good horsemanship, and to finish with a mount that is “fit to continue.” Toward that end, the following rules governing participation in the Tevis Cup Ride have been instituted by the Western States Trail Foundation. 1. Equines: All horses, mules, donkeys and ponies, except lactating mares and mares in foal, are eligible to enter the Ride provided they are shod or wearing protective footwear, are at least 72 months old, are in compliance with the Ride drug and medications policy, and in the sole opinion of the Ride Veterinary staff are in fit condition to compete. References in these rules to horses include other equines as well. 2. Riders: The Ride is open to all riders 12 years of age and older on the day of the Ride who have paid their entry fees and signed the Ride application and waiver of liability release forms. All riders will be weighed with their tack during the pre-ride veterinary check at Robie Park for statistical purposes only. 3. Juniors: Junior riders under age 18 must be accompanied by one or more responsible adults 21 years old or older who are entered contestants and have agreed in writing to sponsor that Junior throughout the ride unless the sponsor is pulled or unable to continue. In that event, the Junior may proceed, but only if a new sponsor can be found willing to sponsor, in writing, the Junior rider for the rest of the ride. The new sponsor must be recorded by the Ride Director or the Head Volunteer at the Ride checkpoint nearest to where the former sponsor is pulled. 4. Safety: Riders under the age of 18 are required to wear ASTM/SEI certified safety helmets (for listing, see www.seinet.org or call (703)442-5732). All other riders are encouraged to wear protective headgear. Riders must assemble with their horses for the start of the Ride as specifically directed by Ride Management at the pre-ride meeting. All riders must attend the pre-ride meeting to get the specific start instructions. All riders must leave the starting line no later than fifteen minutes after the official starting time of the Ride. The Tevis trail is well marked and well traveled. Riders must stay on the trail at all times throughout the Ride and meet the cut-off times established for each checkpoint. Finally, riders must reach the Finish line within 24 hours elapsed time from the official starting time to be eligible for an award. Ride management may change the trail if necessary due to weather or trail conditions. A written description of any trail changes will be given to riders prior to the ride and such changes will be posted on the Tevis website. No abuse or inhumane treatment of equines, accidental or deliberate, will be tolerated, nor will violations of the Ride’s Medications Policy. In both instances the penalty is immediate disqualification from the Ride. In extreme cases, a rider may be barred from competing in the Ride in future years. 1. The care, comfort and health of the equines are of concern to the Ride Veterinarians from the time of arrival until horses are in their trailers heading home. Riders are required to comply with veterinary instructions with regard to the care of their horses before, during and after the Ride until released by a Ride Veterinarian. 2. Horses shall be considered to have begun competition for the Ride when initially presented to the Ride Veterinarians for the Pre-Ride Examination. A horse that does not pass the pre-ride examination may be rechecked by ride veterinarians no later than one half hour following the initial examination. The horse may not be removed from the vet check area. Only one recheck will be allowed. It is the responsibility of the rider to present the horse for examination only after the rider is satisfied that the horse is loosened up and in sound condition to enter and complete the ride. 3. All horses are subject to saliva, urine, and blood tests at any time. Test samples may be drawn by either California State drug testing personnel or a Ride Veterinarian. 4. Each rider, in all cases, must be present with his or her horse at every inspection (a friend or crew member can trot the horse out in the presence of the rider and the veterinarian). Each rider is responsible for informing the veterinarian of any problems his or her horse may be having. 5. Any conflicts or disputes involving the veterinary judging of a horse shall be resolved on the spot by the Lead Veterinarian at that stop, whose decision is final. A crew member is defined as anyone who provides material support for an equine or rider during the Tevis event. Cooperation by crew members is essential to the safety of the riders, horses, and other crew members, and to the efficient running of the ride, including limiting congestion in vet checks and in traffic flow. 1. Riders will be held responsible for the actions of their crews. Crew members must comply with all event rules and with all regulations and instructions issued by Ride management. They must also comply with all parking, traffic and access instructions. Failure to do so may result in sanctions to the individuals involved and/or the rider up to and including disqualification of the crew’s rider. 2. Crews are to help the rider and horse only at the checkpoints listed below. Crews must not meet riders at isolated, out-of-the-way spots or follow the rider along the trail. This kind of extra help is contrary to the “fair competition” spirit of the Ride and may result in sanctions to the individuals involved and/or the rider up to and including disqualification of the crew’s rider. Common courtesy and good sportsmanship by riders, crews, and spectators govern all aspects of the ride including the use of the trail. 1. Riders must, at the first opportunity, give passing room to an overtaking rider who asks for the "trail please." If a horse kicks, it should have a red tail marking. Hikers have the right of way at all times. Watch for mountain bikes. 2. No pacing on horseback, on foot, or on any type of vehicle is allowed. 3. Because of extreme fire danger, smoking is prohibited on the trail and strongly discouraged in camp and at vet stops. 4. Consumption of alcoholic beverages by participants and crew members is discouraged. 5. Dogs must be leashed at all times. 6. Everyone is required to comply with the rules of the Wendell and Inez Robie Foundation with respect to the use of Robie Equestrian Park and with the U.S. Forest Service, and other landowners with respect to the use of their lands. These rules will be enforced by Ride Management and the Veterinarians under the direction of the Ride Director. Disqualification for a violation of Rule 4, Inhumane Treatment may be ordered by any Ride Veterinarian. With respect to all other rules, the Head Volunteer at each vet stop, in consultation with the Ride Director, or the Ride Director alone, are authorized to disqualify a contestant during the Ride. 3. That not earlier than one hour nor later than two hours after the rider’s Finish, the rider presents his or her horse to the ride veterinarian at McCann Stadium for a post-ride final evaluation of the metabolic stability and general welfare of the horse (no trot out required). To assure safety, finishing order will be determined within a quarter mile of the finish line. No passing will be permitted beyond this point. Ties are not allowed. 1. Rules violations should be called to the attention of the rider and his or her crew as the incident occurs, if possible. 2. Rules violations, with the rider’s name and number, should be reported to the next available Head Volunteer, if possible. 3. Rules violations should be reported in writing, at the Finish Line (McCann Stadium) to the Ride Director. All rider protests and complaints of rule violations by riders or crew must be submitted by 10:00 a.m. Sunday following the Ride. They shall include the name of the person who is lodging the protest or complaint as well as the names of any known witnesses and details of the alleged violation. 4. At the discretion of the Cup Committee, the complainant and the person or persons complained of, as well as any known witnesses, to the extent practicable, will be invited to discuss the complaint of alleged rule violation and/or rider protest at the meeting of the Cup Committee prior to the awards ceremony on Sunday. At that time, a resolution of any issue affecting the order of finish, including whether or not to disqualify the rider or riders complained of, will be made by the Cup Committee. Issues not affecting the order of finish may, at the discretion of the Cup Committee, be deferred for later action. 1. Except as provided herein, the top ten finishing equines, whether or not competing for the James Ben Ali Haggin Cup, must remain on the Gold Country Fairgrounds or adjacent parking areas designated by the ride director from the completion of the ride until the completion of the Haggin Cup judging on Sunday morning in McCann Stadium. Each top ten equine shall be presented at the Haggin Cup judging to have a blood sample drawn by State drug testing personnel or a Ride Veterinarian for the purpose of testing for prohibited substances. After the blood sample is drawn, those not wishing to present their equines for the Haggin Cup judging may be released by the Ride Veterinarians. 2. If an equine finishing in the top ten requires veterinary treatment at any time after the finish and prior to the Haggin Cup judging, the Ride treatment veterinarian on the Fairgrounds shall be immediately notified and shall draw a blood sample prior to the administration of any prohibited substances. After the mandatory blood sample is drawn, the equine may be treated and can then be released from the Fairgrounds by the Ride treatment veterinarian. 3. Leaving the Fairgrounds prior to the mandatory blood test and/or any evasion or avoidance of the testing will be grounds for disqualification. 4. There is currently no weight requirement for either the Tevis Cup or the Haggin Cup Awards. However, restoration of the weight requirement is under consideration for future rides. It is the responsibility of the rider to be aware of any changes regarding weight requirements. The Western States Trail Foundation does not allow the use of medications, substances, or treatments that alter, or potentially alter, the natural performance of endurance horses in any manner. THE USE OF PROHIBITED MEDICATIONS, SUBSTANCES, AND TREATMENTS IS EXPRESSLY FORBIDDEN DURING COMPETITION. THIS MEANS ONE CANNOT ADMINISTER OR USE PROHIBITED MEDICATIONS, SUBSTANCES, OR TREATMENTS DURING COMPETITION, AND THAT NO PROHIBITED SUBSTANCES SHOULD BE FOUND IN BLOOD OR URINE WHEN TESTED. The Western States Trail Ride (WSTR) is sanctioned by the American Endurance Ride Conference (AERC) and follows AERC rules except where WSTR rules are different, in which case WSTR Rules govern. The WSTR Ride Medication Policy uses more general language than AERC’s Section 13, but our rule with respect to drugs is equally strict. The policy of both organizations is to absolutely ban substances and procedures that would enhance the performance of a horse in competition and both organizations severely punish any infraction of this policy. However, for the benefit of riders, and to avoid any confusion, be advised that as a practical matter, there are no substances and procedures banned under Section 13 of the AERC Rules and Appendices A through G that are not also banned under WSTR’s Ride Medication Policy. Likewise, substances and procedures that are permitted by Section 13 of the AERC guideline come within the permissible substances and procedures of the WSTR Ride Medication Policy. Please refer to AERC Rule 13 and Rule 13 Appendices for 2010 for specific lists: Appendix A Prohibited Substances, Appendix B Categories of Prohibited Substances, Appendix C Allowed Substances, Appendix D Threshold Levels, Appendix E Known Detection Times for Substances Used Therapeutically in the Horse, Appendix F Prohibited Treatments, and Appendix G Allowable Treatments. “Competition” means from the time of the pre-ride veterinary check exam on Friday until after the final vet exam at the finish line, OR, until after the Haggin Cup judging on Sunday morning. California State drug testers are present during the Ride (taking random urine samples) and all horses judged for the Haggin Cup are blood tested. It is the rider’s responsibility to know which substances are prohibited. If your equine requires veterinary care prior to the event, it is your responsibility to advise the treating veterinarian of your intent to compete in the Tevis Cup Ride. Administering certain drug treatments may result in disqualification. Please see WSTR Rules 5c and 11a,b,and c.
If your horse requires treatment prior to the Ride and you are unsure about whether a treating substance is allowed, consult your veterinarian and the AERC list of prohibited substances and the length of time after administration that they will test positive. IT IS THE RIDER’S RESPONSIBILITY TO AVOID ARRIVING AT THE RIDE WITH DRUGS IN YOUR HORSE’S SYSTEM. For further clarification, refer to AERC Rule 13.2.6 Appendix E, “Known Detection Times for Substances Used Therapeutically in the Horse. If prohibited substances are found to have been used, as determined by drug testing or other means, the rider will be subject to disqualification. All reported violations will be evaluated by the Cup Committee and Veterinary Advisory Committee of the WSTF Board of Governors. If the committee finds a violation, it will be referred to the WSTF Executive Committee for evaluation and presentation to the full Board, if the Executive Committee feels such action is warranted. The rider involved will be notified and afforded an opportunity to appear before the Board and present any mitigating facts. Determination regarding disqualification, forfeiture of any award, or other penalty will be made by the full Board after presentation of all proffered relevant evidence and shall be final. Regulation §1280.1 of the Bureau of Animal Health, California State Department of Agriculture, requires the collection of $5.00 from each participant in all endurance and trail ride events (as well as horse shows and any event of public nature) for testing, or random testing, by the Department for drugs or medications prohibited within the meaning of §24001 of the Agriculture Code. This fee is included in the entrant's application fee. While the Tevis Cup Ride is open to all qualified competitors, the WSTF cannot be, and is not responsible for any diminution in anyone’s “professional reputation” or financial loss of any kind which in any way results from entry to, participation in, completion of, failure to complete, disqualification from, or sanctioning in any form following the event. The Western States Trail Ride endeavors to assist junior riders and their sponsors during the event, but the Ride cannot take responsibility for the custody of these riders if it is necessary for them to withdraw. In most cases, a withdrawn junior can be returned to Foresthill or Auburn in the custody of an adult who is willing to assume responsibility for the time necessary to reunite the junior with crew and/or family. However, it is strongly advised that you arrange for a responsible adult to attend as many veterinary locations as possible to ensure the ability of the sponsoring rider to continue in the event a junior must stop riding. The responsibility for acquiring a new sponsor, should a junior rider need one, belongs to the junior and his or her crew and/or family. However, Ride Volunteers, if they have time, will assist in locating sponsors within the vet check where one is needed. Riders are encouraged to become sponsors if needed. Junior riders who attempt The Tevis Cup are experienced and well prepared, and their horses are usually carrying less weight and are strong. Juniors are instructed to ride with all the items they need to take care of themselves and compete, including watches, jackets, water and snacks. Riding with a junior is a unique and positive experience. September 2, 2011 - Results of diagnostic testing reported earlier today by the University of Kentucky's Veterinary Diagnostic Laboratory confirms a diagnosis of West Nile virus affecting a horse in Fleming County Kentucky. The diagnosis is based on detection of WNv IgM antibodies in blood serum and compatible symptoms. The Kentucky Department of Agriculture Web Page has been updated to reflect this first equine case of West Nile virus in 2011. The Kentucky Horse Council is a non-profit organization dedicated, through education and leadership, to the protection and development of the Kentucky equine community. The Kentucky Horse Council provides educational programs and information, outreach and communication to Kentucky horse owners and enthusiasts, equine professional networking opportunities through KENA, trail riding advocacy, health and welfare programs, and personal liability insurance and other membership benefits. The specialty Kentucky Horse Council license plate, featuring a foal lying in the grass, provides the primary source of revenue for KHC programs. For more information visit www.kentuckyhorse.org. There is widespread belief in a warm and comforting story which states the horse is a gentle herbivore. What if it could be proved instead that throughout history horses have had the biological capability, and desire, to consume a wide variety of meat? An international multi-million dollar industry serviced by horse whisperers, glossy magazines and popular culture preaches that horses are meek prey animals who fear predators. What if evidence demonstrated horses have slain lions, tigers, pumas, wolves, hyenas, and humans? Contemporary writers have successfully airbrushed murderous and meat-eating horses out of literature. What if Shakespeare, Sherlock Holmes and Steve McQueen provided artistic evidence to refute that claim? Thanks to wide-spread equestrian amnesia, the vital role played by horses in recent history has been lost to mankind. What if vital testimony revealed meat-eating horses had been used to explore the North and South Poles? What if six thousand years of equestrian wisdom had been misinterpreted or buried? What if a Rosetta Stone had been found to unlock the dark secrets of the horse’s past? Deadly Equines is a revolutionary departure from equestrian romance. It is a fact-filled analysis which reveals how mankind has known about meat-eating horses for at least four thousand years, during which time horses have consumed nearly two dozen different types of protein, including human flesh, and that these episodes have occurred on every continent, including Antarctica. Various sources of corroborating data, including legends, literature, cinema, news stories, scientific reports and eyewitness accounts are presented for the reader’s investigation. None of these items had been hidden. They had instead been ignored, misunderstood, or in some cases, censored. The result is the first exploration of the horse’s hidden history, an alternative equestrian world populated by forgotten facts, overlooked evidence and astonishing stories. Amply illustrated, and containing a map of occurrences, this shocking study challenges the reader to develop a new understanding of the horse, one based upon reason, not fantasy. Garry Ashton-Coulton - Art Editor, Horse & Hound magazine, London. Dr. Ruth Carter - Professor of International Studies at Georgia College and State University. Neil Clarkson - Publisher of Horse Talk international equestrian news service. Dr. David R. Dorondo - Department of History, Western Carolina University and author of Riders of the Apocalypse: German Cavalry and Modern Warfare. “A wonderfully crafted, thought-provoking resource, the book begs a renewed re-examination of the nature of the horse." 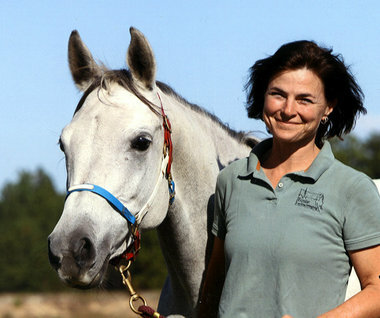 Diane Dowling - Director of the equestrian documentary Of Horse & Man. "What a fantastic story! There is a message here which has been suppressed over the years." Robin Hanbury-Tenison OBE - Long Rider and author of The Oxford Book of Exploration. "Deadly Equines was riveting! It contains a vast collection of evidence that proves the existence of meat eating horses throughout history. A must read for all horse lovers." "Deadly Equines brings to light a rarely discussed aspect of equine behavior in a fascinating and informative way." Patrick Holscher - Society of the Military Horse. Jonathan Hopkins – Author of Walls of Jericho – A Cavalry Tale. "Deadly Equines is an extraordinary study and an intriguing account." Jeremy James - Long Rider FRGS and author of The Byerley Turk. Simon Mulholland – Equestrian inventor and social activist. "This iconoclastic book shatters many cherished assumptions. It is an essential read for anyone with an interest in horses. I highly recommend it". Douglas Preston - Long Rider FRGS and author of Cities of Gold. "Deadly Equines depicts a fascinating and barely known aspect of polar exploration history." “With relentless research, O'Reilly has put together a body of evidence on meat-eating horses that should have encyclopedia editors all over the world scrambling to re-edit their chapter on the horse." Geoff Young - Publisher/Editor, Horse Connection magazine. The Equine Land Conservation Resource (ELCR) is proud to announce the establishment of a new Education Coordinator position, and the appointment of Denise O'Meara to this role. The purpose of this newly-created ELCR Education Coordinator position is to develop a comprehensive educational program for a nationwide audience to support local efforts in equine land conservation, including farmland protection, land use planning and zoning, trails, equine economic development, land stewardship/best management practices, and liability issues. As the only national not-for-profit organization advancing the conservation of land for horse-related activity, ELCR serves as an information and educational resource, and establishment of this position is critical to continuing its public mission. "In conservation of land for equine use, education of the public and getting people involved is essential for success," explains Deb Balliet, CEO of the Equine Land Conservation Resource. "Therefore, our Education Coordinator will be a vital link between ELCR and equine enthusiasts across the country, through expanded outreach efforts, promotion, and development of a volunteer training curriculum and materials." Appointed to the position of ELCR Education Coordinator is Denise O'Meara of Lexington, KY. A graduate of the University of Kentucky with a Bachelor of Science in Landscape Architecture, O'Meara brings 16 years of landscape architectural experience to ELCR. Most recently, as Senior Landscape Architect for RossTarrant Architects in Lexington, KY, she founded the Landscape Architecture service component for the firm, initiated campus master planning services and served as designer and coordinator for the site department team of landscape architects and civil engineers. She is licensed by the Kentucky Board of Landscape Architecture and is affiliated with the American Society of Landscape Architects (ASLA), Kentucky Chapter, where she has served as an Executive Committee member for 12 years and as Treasurer for five. Prior to her career in planning and landscape architecture, a decade spent in management of a multi-million dollar Thoroughbred farm gave O'Meara an in-depth knowledge of the equine industry. "Thoroughbreds were my passion for many years, and I look forward to expanding that passion to include many other breeds and equine activities," says O'Meara. "After working extensively in landscape architectural practice, it is exciting to get back to the equine world. This position with ELCR will allow me to combine both interest areas in a very constructive way." "I am delighted to have Denise join the ELCR team," notes Balliet. "Her extensive experience in this new position will allow ELCR to significantly advance our educational offerings, and consequently enhance the equine land and trail conservation activity occurring across the country." About the Equine Land Conservation Resource (ELCR): The Equine Land Conservation Resource is the only national not-for-profit organization advancing the conservation of land for horse-related activity. ELCR serves as an information resource and clearinghouse for land and horse owners on issues related to equine land conservation, land use planning, land stewardship/best management practices, trails, liability and equine economic development. For more information about the ELCR visit our website at www.elcr.org or call (859) 455-8383. Lexington, KY - Skylar Rowan's high school in Knoxville, TN, offers a plethora of sports teams - even bowling and sailing. More than 20. But, there is one missing - the most important one to Rowan: An equestrian team. "Just like the majority of schools in my area, my school doesn't have the facilities or the budget to support an equestrian team," the 16-year-old says. But what is more frustrating to this high school sophomore is that most people outside the horse world, she says, don't understand the time, effort, dedication and athleticism - for both horse and rider - that are required to compete in any equestrian discipline. "It's not just learning how to compete as an individual, or even as a member of a team ... it's forming a partnership with an animal athlete to whom you trust your very existence. And while jumping a course or completing a dressage test looks beautiful to spectators, it is every bit as difficult as the quarterback completing the perfect touchdown pass or the baseball pitcher pitching a perfect game." Rowan wrote those words when asked, "What does the USEF High School Equestrian Athlete Program mean to you?" And by answering that question - very well, according to judges - she became one of 15 high school equestrians to win a $1,000 grant from the United States Equestrian Federation (USEF) as part of its USEF High School Equestrian Athlete program. "What the (program) has given to me is validation and recognition from those who truly understand this amazing sport," Rowan wrote. "By earning my varsity letter every year, I can also say to the world that I am an athlete... not just the girl who leaves school every day to 'ride horses.' Riding is my life, my passion and my sport. Yes, it would be great if my school was able to recognize me in the way that they do the other student athletes. But because of the USEF High School Equestrian Athlete program, I now feel every bit as empowered as those that parade across the stage each May to pick up a letter." With its third year well underway, the USEF High School Equestrian Athlete program continues to grow both in nationwide participation and through offerings for students. More than $20,000 in grants was offered for the first time in 2011 to program participants - there are nearly 4,000 students in the program - as well as to equestrian clubs or schools. Students who had completed one or more years of the program and were current members of a USEF International or Recognized Breed/Discipline Affiliate Association wrote the essays describing their experiences and opportunities through the USEF High School Equestrian Athlete program. One applicant from each of the affiliate essay submissions was selected to receive a $1,000 grant for future academic or equestrian educational pursuits. Rowan is a member of the United States Dressage Federation. Additionally, 10 equestrian clubs and team were awarded $500 grants for their programs by simply having the most student participation in the USEF High School Equestrian Athlete program, based on students advising USEF of their participation in these clubs or teams. * Rebecca Salberg, Rockaway, NJ (American Connemara Pony Society): "Prior to riding for this program, I was riding for the enjoyment of riding, now I am part of something much larger and it drives me to do my very best in practice and in shows." * Brianna Ek, Southern Pines, NC (American Driving Society): "The cadence of the four in full gallop and the feeling of oneness with my team are electrifying. My confidence soars and I can feel my tightly pressed lips turn into a big smile. Welcome to my world, and the extreme sport of Combined Driving." * Ayla Spry, Milaca, MN (American Endurance Ride Conference): "Because of the recognition through USEF and then the High School, I was no longer viewed as one of those horse kids, but as an athlete. I thank USEF for that." * Kahlie Kroells, Hamburg, MN (American Hackney Horse Society): "The USEF High School program has opened my eyes to all the other industries that the Equine world touches and has given me so many options beyond riding." * Nancy Merritt, Chapel Hill, NC (American Morgan Horse Association): "Through the USEF High School Athlete program I am able to easily share my commitment and the hard work that I put into my riding with academic leaders and peers, while attaining a greater sense of self-achievement." * Kathryn Alexander, Morrison, CO (American Saddlebred Horse Association): "Horsemanship. The word itself embodies its spirit: the partnership between a person and their horse. That is what the USEF High School Equestrian Athlete program has come to mean to me; my horse and I are the team, competing not only for our own enjoyment, but for my pride as a recognized equestrian at my school." * Katharine Wick, Hillsborough, CA (American Vaulting Association): "Having the acknowledgement and support from the national governing body of equestrian sport for my hard work and commitment to vaulting throughout my high school career became very important to me in my goal of being admitted to a highly selective liberal arts college." * Zane Sullivan, Albuquerque, NM (Arabian Horse Association): "Completing the criteria for this program is not what I would consider easy, but by striving to meet the goals placed in front of me it has better prepared me for my future goal of trying out for the Saddle Seat Equitation World Cup Team." * Thea O'Dell, Whittier, CA (International Andalusian and Lusitano Horse Association): "In the end, dressage and horses is what I live and breathe and would be nothing without it. The USEF High School Equestrian Athlete program has strengthened my ambitions in my riding and education, rewarded my equestrian accomplishments, and shown my high school that riding in all disciplines is ready to be a widely recognized varsity sport." * Tynan Morley, Murrieta, CA (International Friesian Show Horse Association): "The USEF High School Equestrian Athlete program provides me an opportunity to interact with other kids our age and talk about the number one thing we love, horses, as well as opening doors of opportunity for me to introduce my non-horse showing or non-horse owning friends how great the USEF program and equestrian competition life is!" * Laura Orr, Topsail Beach, NC (Paso Fino Horse Association): "It is an avenue through which kids in the equestrian sport can verify the time, sweat, hard work, victories and losses they have experienced as part of the world of horses. It's how the girl who takes her math assignments to every show, the young man that spends his time between classes studying Chemistry, and the homeschooled kid can be part of something bigger than themselves." * Victoria Kager, Lancaster, PA (United States Eventing Association): "Atop all else, the USEF High School Equestrian Athlete program means commitment to my horse, my sport, and my future." * Devon Conley, Sandy Hook, CT (United States Hunter Jumper Association): "The USEF High School Equestrian Athlete program has afforded me different opportunities outside of the equestrian sport. During the school year on my day off from riding I volunteer for Best Buddies program that helps handicapped kids. I have learned to be patient and have a sense of humor from riding which helps me greatly when working with the kids." * Mackenzie Kurtz, Sugarloaf, PA (Welsh Pony and Cob Society of America): "Equestrian sports were not recognized in my school, except as a hobby. Now, I feel like I am part of a team or club. I am proud to wear my jacket with the USEF logo and pins I have earned." For more information on the USEF High School Equestrian Athlete program, please visit http://www.usef.org/_IFrames/Youth/highschool/highschool.aspx or email highschoolequestrianathlete@usef.org. While the majority of people in west-central Lyon County were sleeping a horse and rider galloped out of Fort Churchill at about 1 a.m. on Aug. 26 carrying a mochila (mailbag) westward to Sacramento. The annual Pony Express reenactment had the leg of the long journey that passed through the Dayton Valley headed westward through Mound House scheduled in the early morning hours, and for the most part went unnoticed as the horse and rider retraced much of the original trail that passed through the area. But that wasn't unusual for a Pony Express rider to be riding at that hour of the night. The mostly teenage riders passed through the area during the 18-month history of the private mail service. This year the ride began Aug. 17 in St. Joseph, Mo., and ended in Sacramento. The riders were passing through Lyon County headed to Carson City and Genoa --then over the Sierra Nevada range into California.